Overstock.com is often my go-to source when it comes to home decor items. They offer many items that are near identical to those of high-end retailers but at a fraction of the cost. 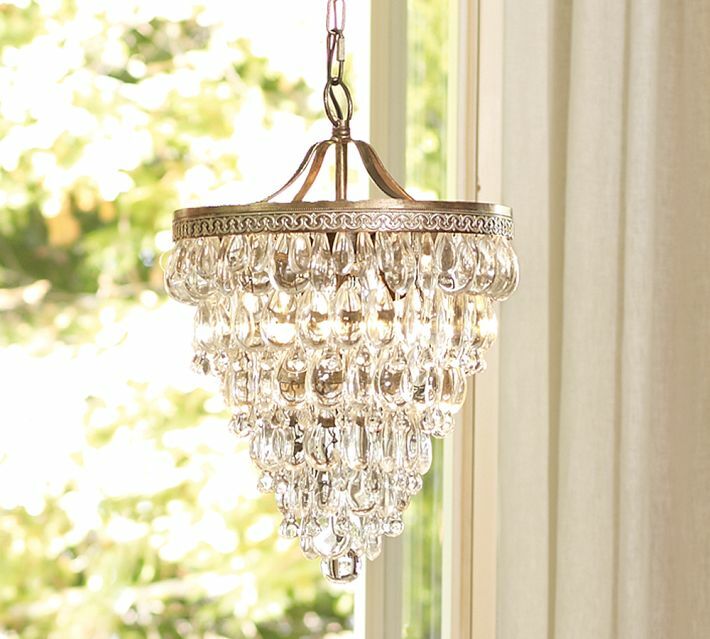 And lucky for us, this week many of their chandeliers are even more on sale! 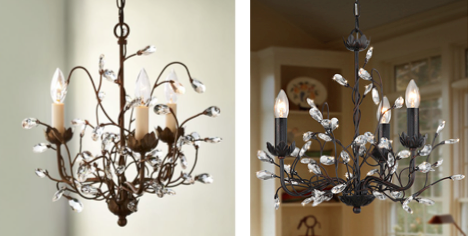 While browsing through the selection I saw that quite a few of their chandeliers resembled some I'd seen at Pottery Barn. 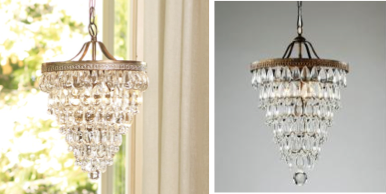 If you have a Pottery Barn love but an Overstock budget, these items are for you! Here are just a few comparisons of the PB versions vs. Overstock versions. Now you too can have the look... for less!